MistAire | The Air Geeks, reviews of air conditioners, dehumidifiers and air purifiers. MistAire is a Pure Enrichment’s brand name that is used with Pure Enrichment’s humidifiers. 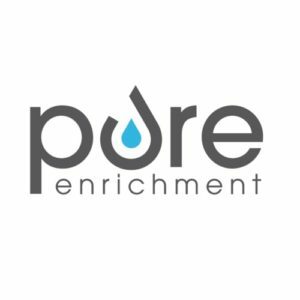 Pure Enrichment itself is a company that produces a wide range of products in medical care, air treatment, and personal care. The company has headquarters in Tustin, California US. Pure Enrichment believes that the best way to handle this type of business is to focus on the consumer and everything else should fall into place. The products they offer are influenced by their passion for creating solutions that offer a healthy and balanced lifestyle that is affordable across the board. This enables them to produce products that are among the highest in the market in terms of standard backed by color-coded warranties. Products bought from Pure Enrichments have a 60-day money-back guarantee if the customer feels they a fall short of quality or are not of their taste. For products having defects, a warranty cover ensures the defective parts get replaced in a timely manner. The company manufactures air purifiers, most of which sell by the brand name PureZone. An example of this is the PureZone 3-in-1 True HEPA that uses a combination of a 3-in-1 filter with a UVC-Light to provide a deeper level of air sanitation by making sure almost all germs and viruses are safely removed. An adjustable 3-speed filter enables the user to set the humidifier according to their needs and the quality of the air in the room. The low fan setting is whisper quiet and almost inaudible. You can place it anywhere be it your bedroom or in the kids, room and never have to worry about the noise disturbance. Another great example is the PureZone Elite True HEPA Tower air purifier that goes to a whole new level in terms of purification by adding and ionizer to accurately help in monitoring the quality of the air in the room. It has a color-coded LED-indicator that shows a real-time quality of the air at the same time adjusting the fans to ensure a clean air environment is achieved faster. Most of MistAire branded humidifiers are best sellers on the majority of the retail and online stores. They are highly valued and are some of the most sought-after humidifiers in the market today. They receive numerous positive reviews from happy customers all over the world. Pure Enrichment Mistaire Ultrasonic humidifier is an Amazon best-seller that provides up to 16 hours of powerful mist output on the high mist setting. It has a 1.5-gallon water tank that provides ideal coverage for bedrooms, kitchen, and other middle-sized rooms. An automatic shut-off feature ensures the appliance shuts off in case the water-tank gets empty. MistAire XL Ultrasonic Cool Mist Humidifier is the perfect suite if you need to humidify a large space like a living room or multiple rooms. It has a dual mist nozzle that can rotate 360 degrees to direct mist in any direction. It can cover spaces of up to 500 sqft. Below you will find our reviews for the best air products by Mistaire. Thank you for visiting the Air Geeks!